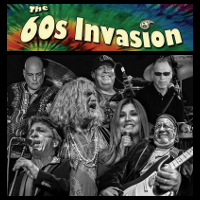 The 60s Invasion is a flashback to all your favorite radio hits from the 1960s and early 1970s. 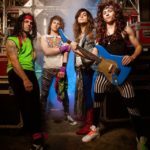 Covering bands like The Turtles, The Band, The Guess Who, The Grass Roots, The Zombies, The Beatles, Joe Cocker, Darlene Love, Janis Joplin, The Bee Gees, Sly & The Family Stone, Aretha Franklin, Delbert McClinton, Etta James, The Byrds, The Ventures, The Kinks, Buddy Holly, plus many more…we will transport you back in time! Singers Joseph Felicetta, Bob Arndts and Janet Montalbo, lead the way on a harmony explosion full of raw power and beauty. 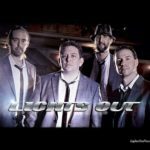 Available for Festivals, Clubs, Fundraisers, Private Parties, etc. Take your event to the next level with The 60’s Invasion!